Ahoy fellow spiders! 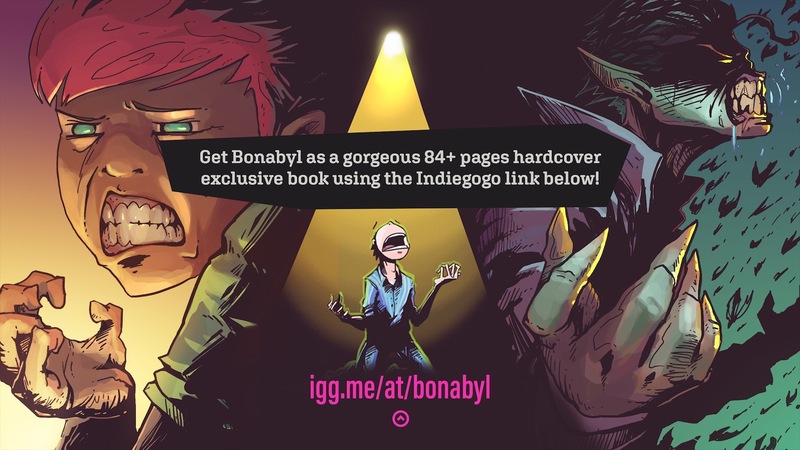 I know our community is primarily web-based, but I’m so excited that volume 1 of my spooky adventure series Bonabyl is becoming a gorgeous hardcover physical book. 84 pages isn’t much compared to a lot of you, but I felt like it feels like a good chunk to read, and opens some offline avenues for me. Even made an animated trailer for the crowdfunding campaign, gotta go that extra mile right? Check it out at igg.me/at/bonabyl and tell me what you think! Would love to hear from you in case you've already been through this kind of process, if you'd like to share the things that were most difficult or most rewarding. I’ll keep you posted on how it goes for me, and if you’re thinking of turning of your webcomic into a book as well or have some questions or things you wanna talk about, feel free to reach out anytime. Come for the giggles, stay for the blood-thirsty vampires!